Only a couple weeks ago, I closed the chapter on a significant season in my life – the completion of my first three-book series. I feel as if the last three years of my life have passed in a blur of deadlines, beautiful character adventures, and growing pains. As I celebrate the ending of this season and the potential of the next, I also need to reevaluate what I want this writing gig to look like going forward. But that’s the thing. It’s more than a writing gig. It’s a business, a ministry. As with all businesses, it requires strategy, planning, and much prayer. When I first began this adventure, I wish someone had told me to look ahead, to dream but to do so in detail. As I reflect on all God has done, I am hitting “pause”–as I pray about contracts and direction and stories–to craft a business plan, one that gives me direction for the years (I hope) that loom with possibility before me. 1) Craft a mission statement. 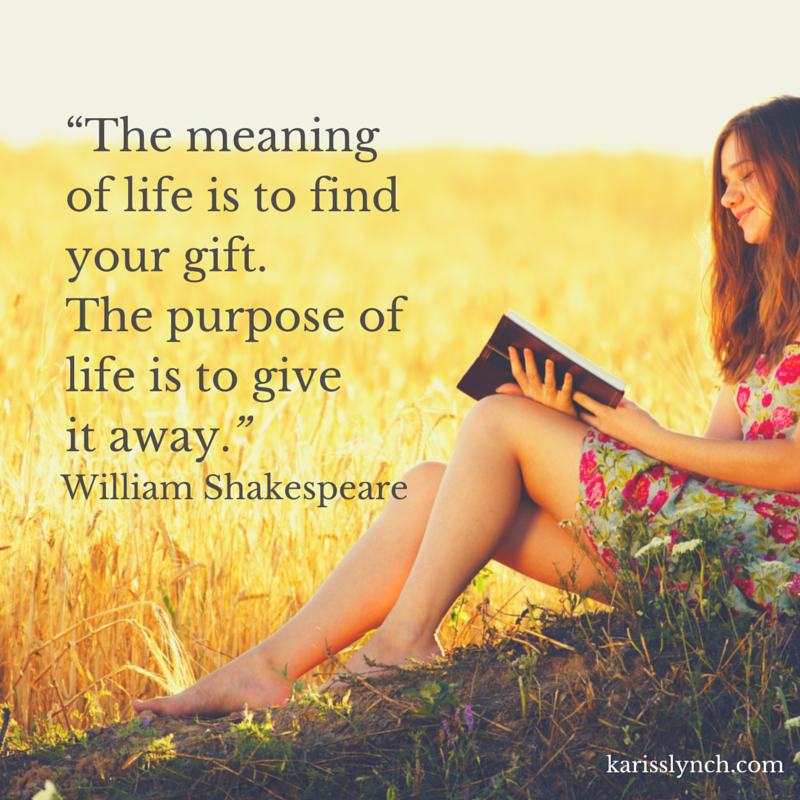 What is the purpose of your writing ministry? We all want to reach and impact readers. Be more specific. What unique calling/gifting/direction do you bring to the table? If you have worked with publishers or are working to break into the field, you are aware that you must define your audience for your proposals. Be more specific than the age range. Do you write for those who have lost hope? Are your stories for the courageous at heart who want to change the world? 3) Set long-term and short-term goals. This is where I am crafting financial, spiritual, physical, intellectual, family, social, and career goals. If every area of my life feeds my writing, and I believe it does, then it is important I take all of this into account. I’ve noticed I write better in deadline season when I am taking time to eat healthy and exercise. On the nights I don’t sleep much in favor of finishing a project, my health routine gives me energy to keep pushing. When I don’t set time aside to invest in family and friends or have fun, I write from a drained tank. If I don’t attend at least one conference a year, I miss out on building relationships and gaining valuable training. Goals help me account for these moments, and tackle them with more gusto. 4) Formulate a guideline for the unknown. I have lingering questions that I want to answer that will help me as this career hopefully grows. Do I want to limit myself to my current genre or do I have other story styles burning on my heart? If so, what do I need to do to incorporate those stories? How do I respond to speaking opportunities? How am I going to interact with readers? How do I answer those who ask my advice on writing? How will I handle endorsements and judging writing competitions? I am working on answers to all these questions. I believe having an idea in place will help me to respond well when these situations arise. I have a small group of people in my life who will gather to give me feedback on my business plan. They will respond as readers, but they will also respond from a place of knowing my heart. They will be my encouragers in the months and years ahead, my accountability if I get off track, and the ones with wisdom to help me reevaluate this business plan when the need arises. They are the ones who challenged me to identify my direction in the first place. I am still working to finalize this business plan and would love to hear from you! What goals have you set for your writing career? Do you have a business plan that helps keep you on track, or do you use another method? This entry was posted in Encouragement, Publishing, Writer's Life, Writing, Writing Craft and tagged Branding, crafting a business plan, creating a writing ministry, Kariss Lynch, setting writing goals, writing advice, Writing process by Kariss Lynch. Bookmark the permalink. Glad it helped! Thanks for stopping by! I do not have a writing career (yet), and I do not have a business plan to share (yet). I do love to read your messages, insights, and sharing your experiences. If you are planning to jump into a writing career, I would encourage to craft a business plan now! It will help with direction as you pursue the Lord’s calling. I am reblogging this great post from Wordserve Water Cooler as I am always concerned when I see writers who don’t have a plan, and don’t address the fact that if they are earning income, they need to act like a business (especially as taxation is involved). Karen Rose Smith once did an excellent series on this topic, which I believe she has turned into an ebook. Please, fellow scribes, do your homework. It will help you achieve so much more in the long run. Agreed. Business is honestly not my cup of tea, but it is a fun challenge to learn so that I can be all that I can be for this writing career. Great post. Sometimes what starts as a side-thing becomes our career and you’ve hit on quite a few of the points not everybody always thinks about. Very comprehensive and inspiring. Thanks.